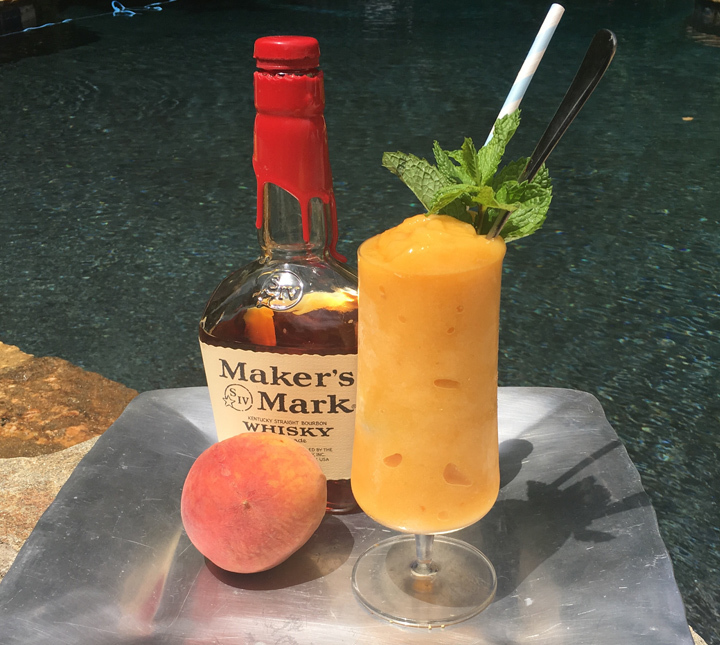 Cocktail of the Week: Peach and Bourbon SEPTA Slushy. For everyone heading back to a working week of high temps and SEPTA delays. This slushy and spicy peach and bourbon concoction will help you to cool down and relax after that delayed, hot ride on the R5! 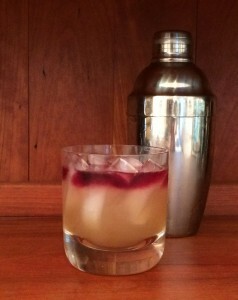 Put Bourbon, Frozen Peaches, 3 dashes of bitters, Lemonade, Ice Cubes and dash of Cardamom in a blender. Puree or pulse until smooth. Spoon into a tall glass. Garnish with mint. Enjoy! The Philadelphia area has been turned upside down by the imminent and eminent visit of Pope Francis. While I jump on the bandwagon or should I say Popemobile, this week’s cocktail features another great product of Argentina – Malbec – heavenly to drink by the glass and a divine way to add a little spirit to your cocktails. Fill a shaker with ice and top with Bourbon, Lemon Juice and Simple Syrup. Shake then strain as you pour over ice in a rocks glass. Carefully pour the Malbec over the back of a spoon so that the wine stays at the top of the glass. Amen! * Simple Syrup is really simple. Just put 1 cup of sugar and 1 cup of water in a small saucepan and bring to a boil. Turn down to a simmer for a few minutes to dissolve all the sugar. Store in a tightly closed glass jar in the refrigerator for up to 4 weeks. While traditionalists might insist on Kentucky Bourbon some smooth Tennessee Whiskey makes a mighty fine drink! 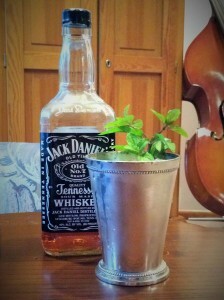 Crushed IceIn the bottom of a julep glass or a rocks glass add 2 Tbsp Simple Syrup. 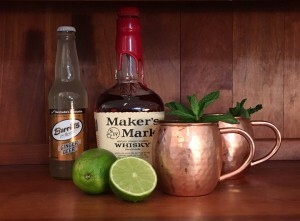 Muddle(smash) one Sprig of Mint with a muddler or the back of a spoon in the Syrup. Fill the glass with crushed ice. Top with Whiskey and stir. Lightly dust the top with Powdered Sugar and add the final Sprig of Mint as garnish. Enjoy! Simple Syrup is really simple. Just put 1 cup of sugar and 1 cup of water in a small saucepan and bring to a boil. Turn down to a simmer for a few minutes to dissolve all the sugar. Store in a tightly closed glass jar in the refrigerator for up to 4 weeks. Be sure to like and/or share this post to continue to keep my Cocktail of the Week in your newsfeed.